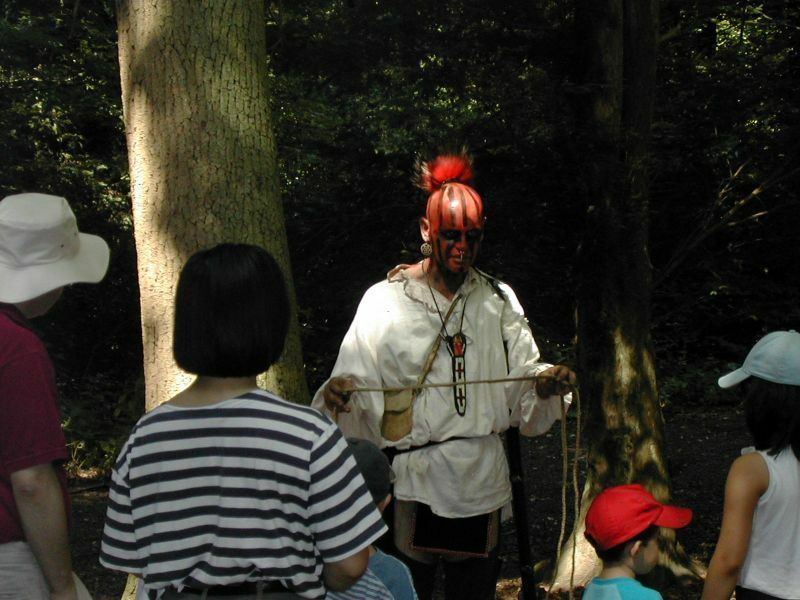 Some pics from about 10 years ago when I used to do this - this photos are of an event we did at Box Hill for the National Trust under the name 'The Woodland Indian Study Group'. 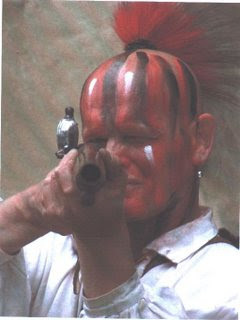 The National Trust were very specific that they didn't want too much focussing on the scalping and the war side of things which suited us fine - I was a little fed up with the tendency to play to the crowd and have fake scalpings and various other bloody bits based on the Last of the Mohicans movie. 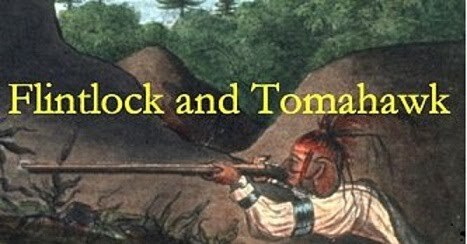 We set the time period as the Revolution when Britain was allied to most Natives so they could be seen in the light of 'friends' rather than as a danger. 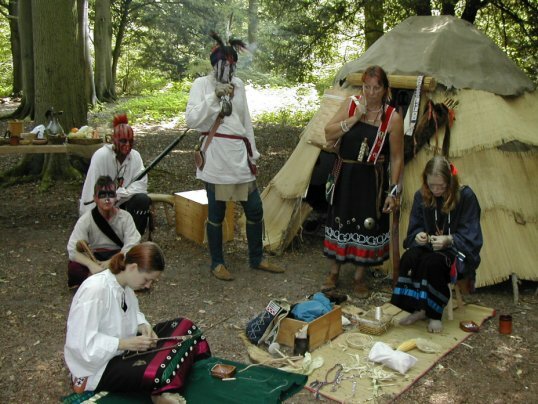 I can't say the idea was hugely successful but the NT seemed happy enough. 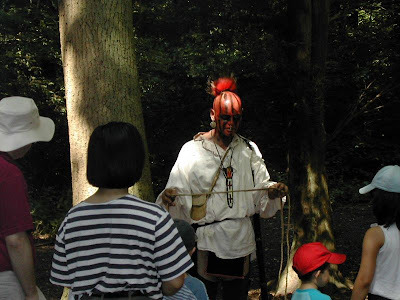 It's worth thinking about how one reenacts say the French and Indian war - it's easy to give a Hollywood treatment of indians - that is portray them as evil whereas it makes it more interest to confront stereotypes and stress the positive side of woodland Indian culture.